When can I stop night feeding? One of the most common issues for parents with their baby’s sleep is when they are ready to stop night feeding. It’s a very good question, particularly when you are several months down the line and your baby is still waking once or more in the night for a feed. 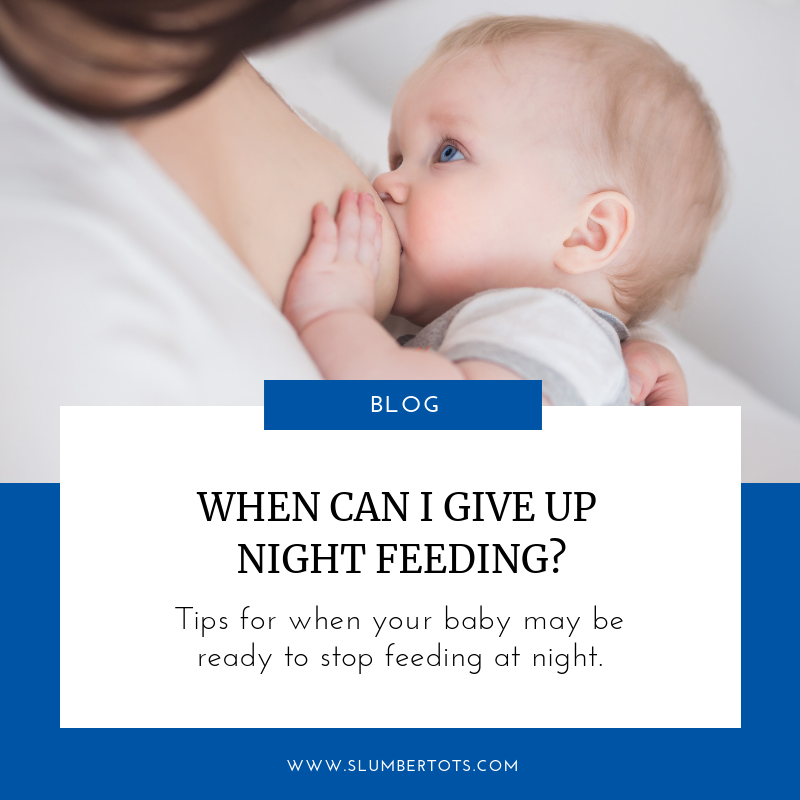 Before we get to the question of when you can stop night feeding, it’s important to determine if your baby is READY to sleep through the night. is gaining weight well and isn’t moving through multiple centile lines. It is also a good idea to confirm with your doctor or paediatrician that there’s no other reason for your baby to continue night feeding. The first thing I always do when trying to stop night feeding is to look at what is happening at bedtime. Is baby falling asleep independently and without your help? The cause of night waking, and often feeding, will always come back to how your child is falling asleep when they go to bed, as this has a knock on effect on what happens during the night. More often than not, baby is prop dependent and is bottle or breast feeding to sleep, so he becomes drowsy or falls asleep completely and then goes into the cot. Unfortunately he will wake for night feeds indefinitely because he has fed to sleep, and that is the only way he knows to settle himself back to sleep. Fortunately, if you can show him how to fall asleep by himself at bedtime, often he will drop the night feeds without any help from you. He will have learnt to fall asleep himself, prop free. There are some circumstances in which babies fall asleep independently at bedtime but still wake for night feeds. This has most likely been caused because your baby has continued to fall asleep while feeding in the night. Even though baby goes down awake at bedtime, during the night he feeds to sleep. Our little ones can associate different ways of falling asleep with different times or situations. So they sometimes learn one way for bedtime and another during the night. If this is happening to you, you need to break the habit. If you plan to keep a night feed, you will need to keep baby awake during the feed, and break the association between the feed and sleep. Sometimes babies can wake out of habit to eat in the night, and will keep waking for as long as you keep feeding them. If you have some ongoing night feeds going on, I recommend just stopping them. This is less confusing for the baby than reducing gradually, or offering feeds at certain times and not others. It won’t take long, as baby is already falling asleep independently at bedtime, so it’s just a case of teaching him to use those skills in the middle of the night too. So if you are ready to get your baby sleeping through the night without feeding and you would like some support, read more about working with me. You can also follow the link to book a call with me, or email me at katy@slumbertots.com.